Finally AMD has come out with big guns to compete against the high-end graphics cards from Nvidia. Earlier there were no graphics cards from AMD that can compete against GeForce GTX 1070 and GTX 1080. 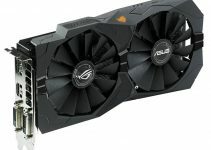 The highest card in the Radeon RX 500 series i.e. Radeon RX 580 can only take on the GeForce GTX 1060 which is a powerful mid-range graphics card in the Geforce 10 series from Nvidia. AMD has waited long to release their Radeon RX Vega series graphics cards but now it can really change the game with their cutting edge technology and aggressive pricing. Radeon RX Vega is the latest high-end graphics cards series from AMD. Radeon RX Vega graphics cards are built on the newer Vega GPU architecture and features ultra fast modern HBM2 memory. Previous Radeon RX graphics cards (RX 500 & 400) from AMD were built on the Polaris GPU architecture. 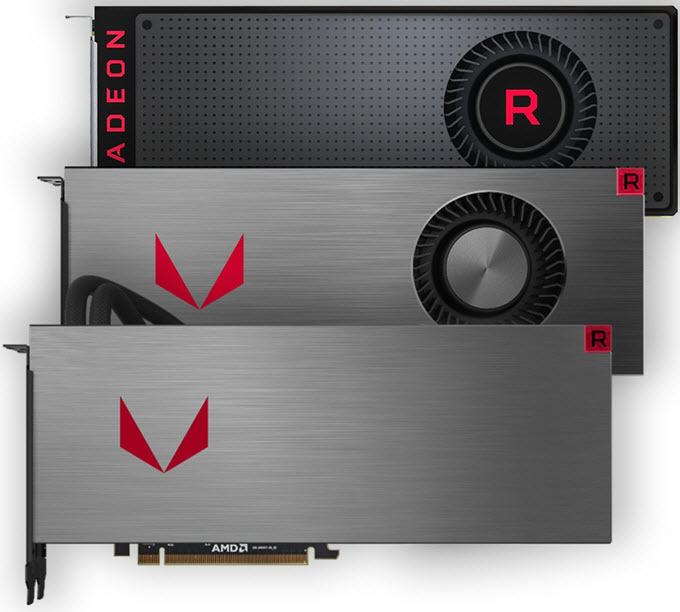 The graphics cards in Radeon RX Vega lineup are Radeon RX Vega 64 and Radeon RX Vega 56. Both these graphics cards are VR Ready, offer amazing performance & features, can run games at 1440p and 4K resolutions and offer best value for your money. Here I am going to provide you the specifications and other important details about these Radeon RX Vega Graphics Cards. Radeon RX Vega 64 is the top-end graphics card in the Radeon RX Vega series. 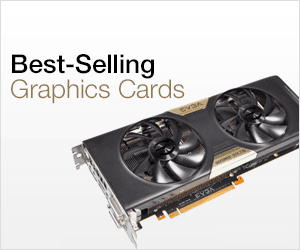 It is a monstrous graphics card and it comes with 4096 Stream Processors and super fast 8GB HBM2 memory. It has got 64 Compute Units, each one of having 64 Stream Processors. This card comes in both air cooled and liquid cooled version with liquid/water cooled having slightly better performance due to higher GPU frequencies. The performance of Air cooled Radeon RX Vega 64 is at 12.7 TFLOPS and 13.7 TFLOPS for liquid cooled variant. The GPU Base Frequency is 1247/1406 (liquid) and Boost Frequency is 1546/1677 (liquid). This is a powerful gaming graphics card and can run latest games on Ultra graphics settings at 1440p and 4K. It is fully capable VR ready graphics card and supports Vulkan and FreeSync 2. Radeon RX Vega 64 is the competitor to the GeForce GTX 1080 which is a high-end graphics card from Nvidia. The power consumption of Radeon RX Vega 64 is a bit on higher side at 295W / 345W (liquid) and requires 750W / 1000W (liquid) PSU for its working. The card support Windows 7 (64-bit), Windows 8 (64-bit), Windows 10 (64-bit), Linux x86_64, and Ubuntu x86 64-bit operating systems. Radeon RX Vega 56 is the trimmed down variant of the Radeon RX Vega 64 but it is still a very powerful graphics card. It comes with 3584 Stream Processors and 8GB HBM2 high bandwidth memory for blazing fast performance in games and other applications. The card comes with 56 Compute Units each having 64 Shader units and has got base and turbo frequency of 1156 MHz and 1471 MHz respectively. 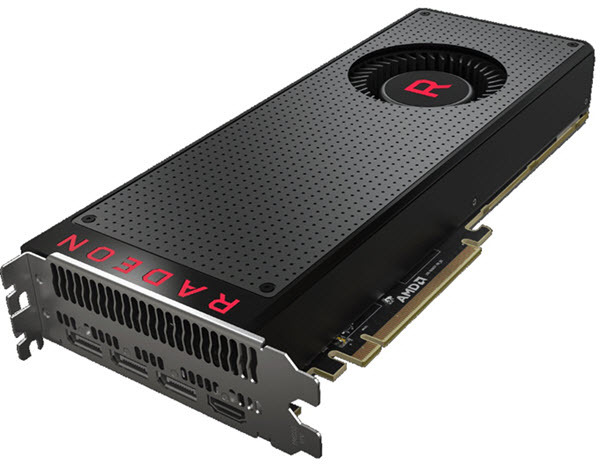 Radeon RX Vega 56 is only available with air cooler but in future it may be possible that some graphics card manufacturers may release a liquid cooled model of this graphics card. The card is VR Ready and supports Radeon FreeSync 2, Vulkan API and many other advanced features. This Radeon RX Vega 56 is in the competition with the GeForce GTX 1070 which is a high end 1440p graphics card from Nvidia. On Radeon RX Vega 56 you can play latest AAA games on Ultra / Very high graphics settings at 1440p. You can also play games on 4K but you may have to lower some of the demanding graphics settings depending on the game. The maximum power consumption of this card stands at 210W and it requires a 650W PSU for its working. The OS supported but this card includes Windows 7 (64-bit), Windows 8 (64-bit), Windows 10 (64-bit), Linux x86_64, and Ubuntu x86 64-bit. 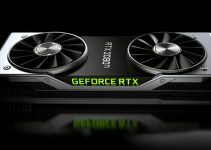 With Radeon RX Vega 64 and Radeon RX Vega 56, AMD has certainly leveled up with the GeForce GTX 1080 and GeForce GTX 1070 graphics cards from Nvidia, but it certainly has no answer to the mighty GeForce GTX 1080 Ti and Nvidia Titan Xp. However, Radeon RX Vega series graphics cards has certainly tighten up the competition and now gamers have much more options to choose from. For cryptocurrency mining, I think Radeon RX Vega 64 and Radeon RX Vega 56 graphics cards will make it to the top. Also these Radeon RX Vega graphics cards will perform better in Vulkan based games compared to Nvidia. Radeon RX Vega 64 is priced at $499 and Radeon RX Vega 56 at $399 which i think is a steal. You can leave a comment below to express your opinion on this subject or if you want to ask something about these graphics cards.